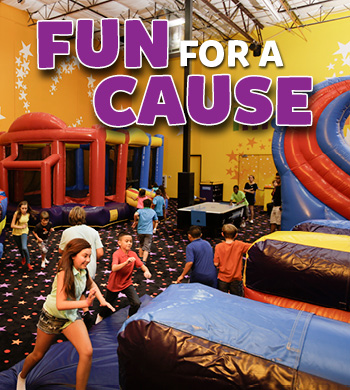 Host your fundraising event at Pump It Up and get 20% back to your organization. We can help you raise donations while your guests jump and play on our gigantic inflatables. - Jump 1.0 : 1 hr of jump time only. Cost is $14 per child. 15 kids minimum. **The use of our party room and paper supplies is complimentary for both these packages ! 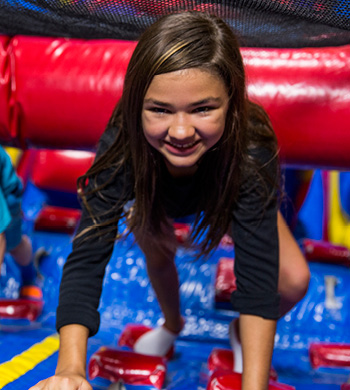 Kids will jump, slide and play at Pump It Up in 100% private and secure play areas. Your Coordinators will have a jumping good time too! - Jump 1.0 : 1 hr of jump time only. Cost is $15 per child. 15 kids minimum. We can customize any event if the above options don't suit you.